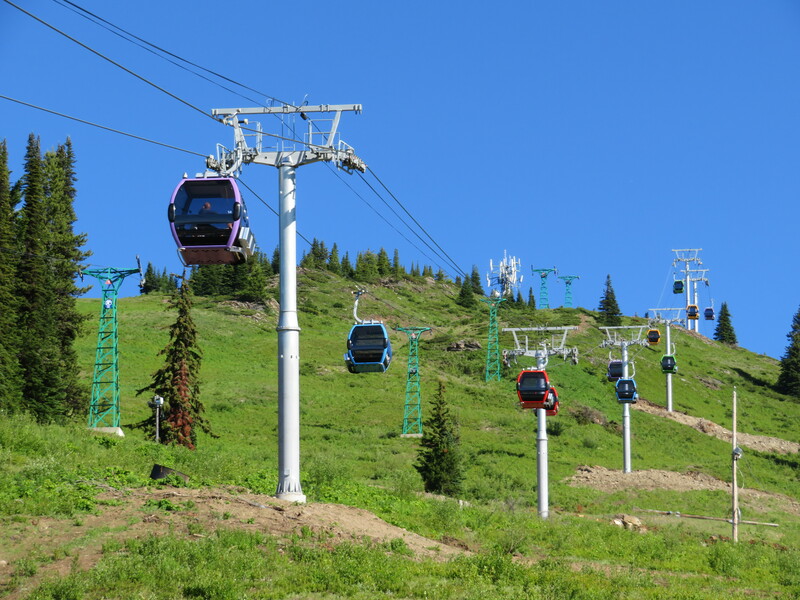 Crystal Mountain, Washington. Lutsen Mountains, Minnesota. 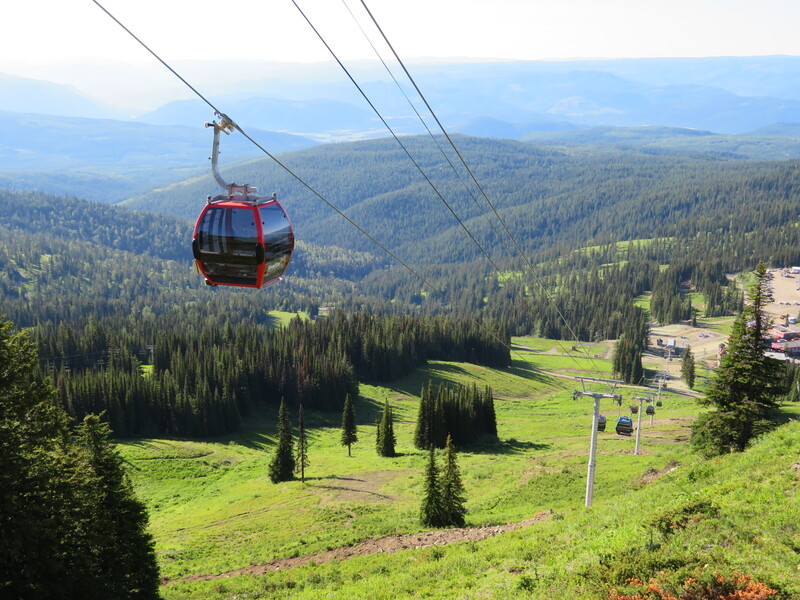 Belleayre, New York and Ski Apache, New Mexico. 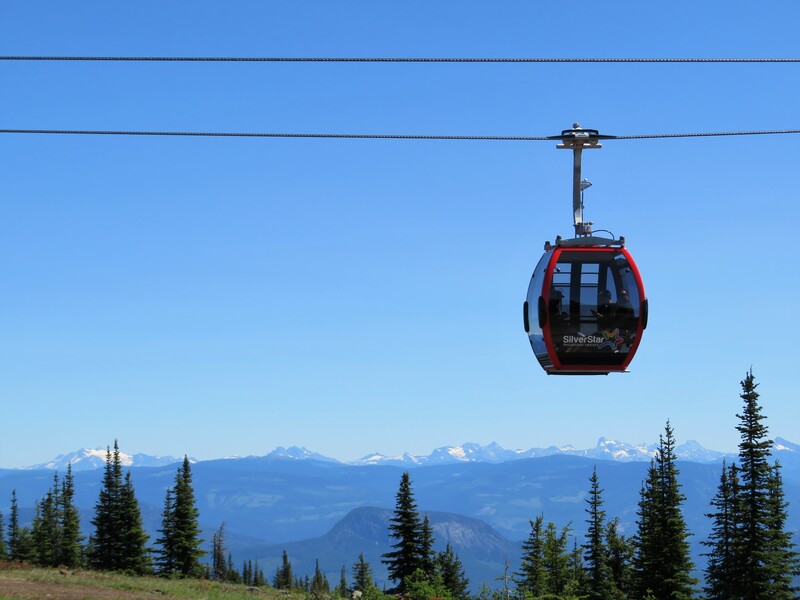 Mountains from north to south, east to west and now in Canada are proving there’s no need to be a mega resort to build a great gondola. 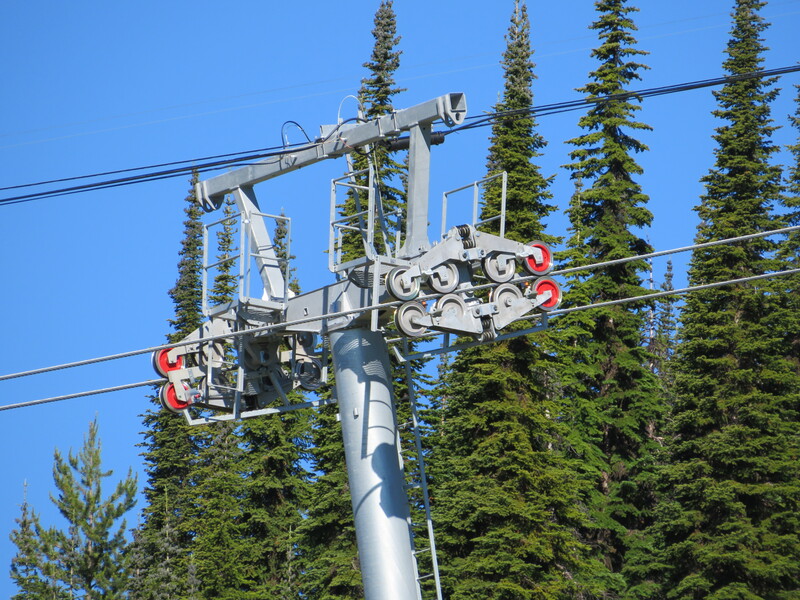 SilverStar Mountain Resort joined the club today with the Schumann Summit Express, manufactured by Doppelmayr Canada, which carried its first riders just after 11:00. 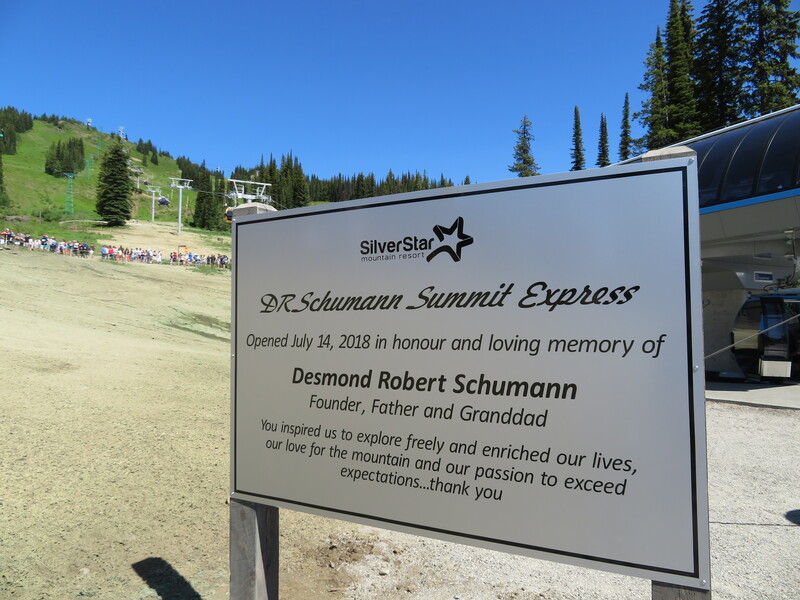 The new flagship lift is named after the late Desmond Schumann, an Australian visionary who came to grow both Big White and SilverStar into two of British Columbia’s top ski resorts. 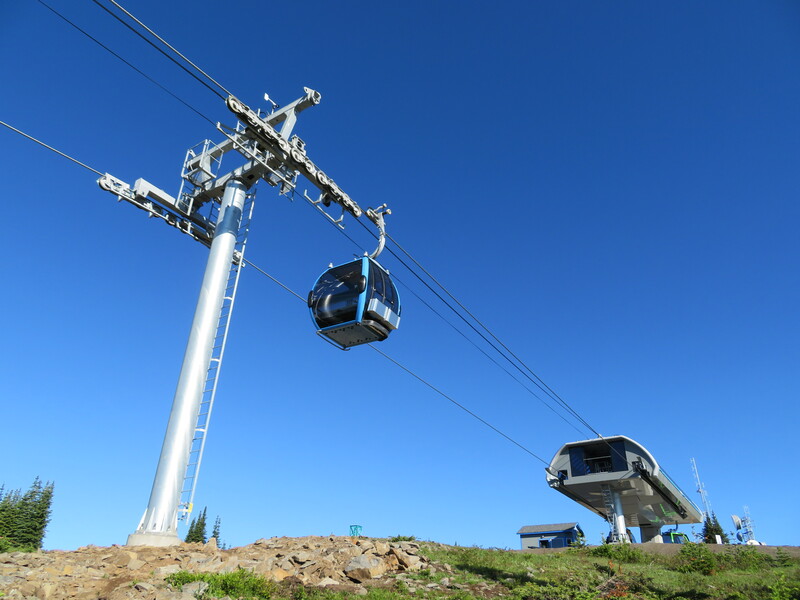 Daughter Jane Cann now presides over SilverStar and rode in the very first cabin, one painted silver in honor of the resort’s 60th anniversary (Jane’s brother, Peter Schumann, heads up nearby Big White, which is also building a new lift this summer). Doppelmayr’s Jim Anderson presented the customary Austrian-forged bell and spoke along with other dignitaries. 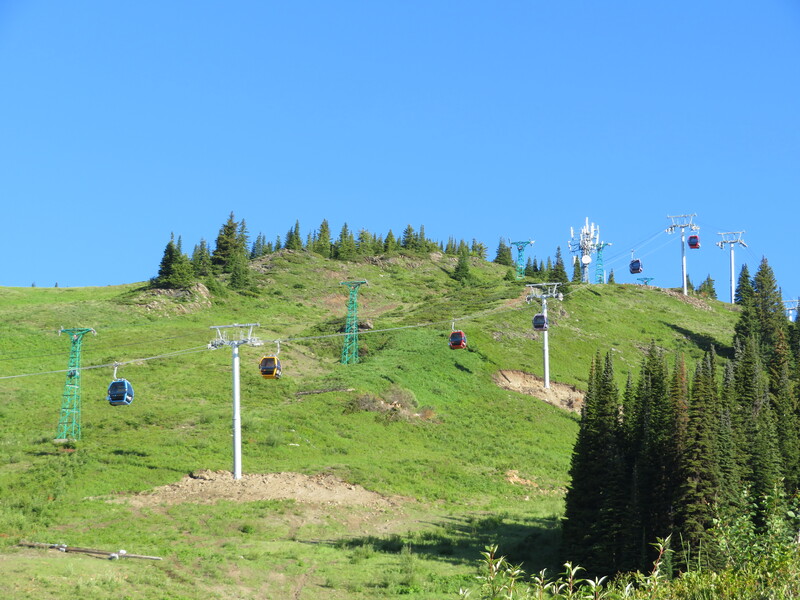 They noted how far SilverStar has come from a local ski hill with one Poma lift and two rope tows into a significant regional and destination resort. A few missing puzzle pieces. 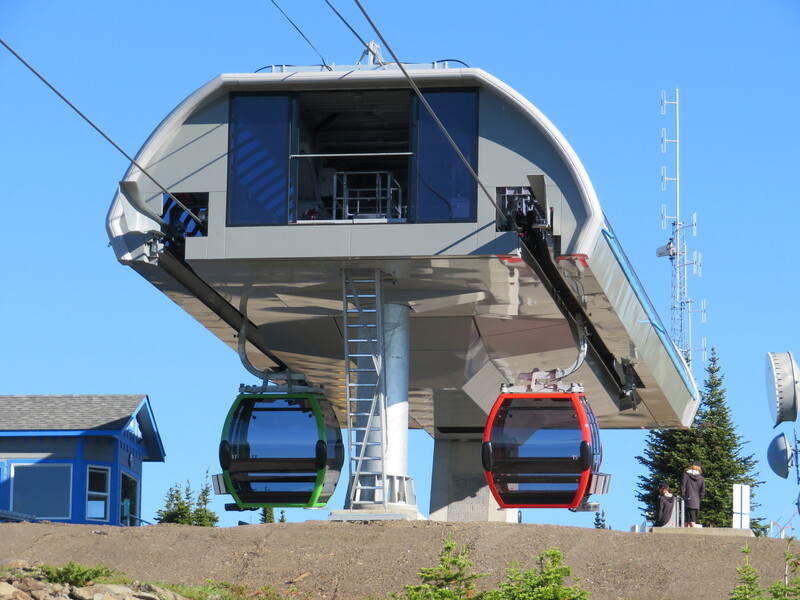 Announced 13 months ago, the gondola was uniquely built over two construction seasons. 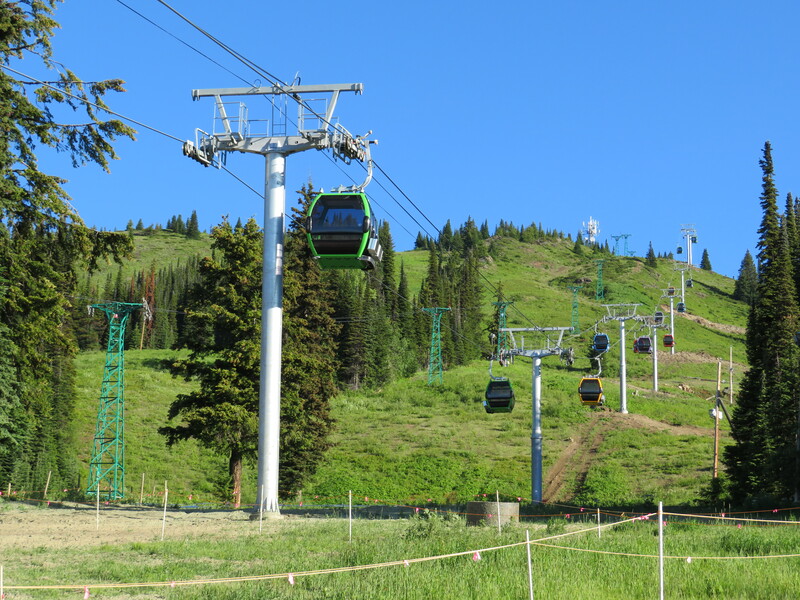 Concrete foundations and the top drive terminal were installed last fall with construction pausing in November for what turned out to be a very deep winter. 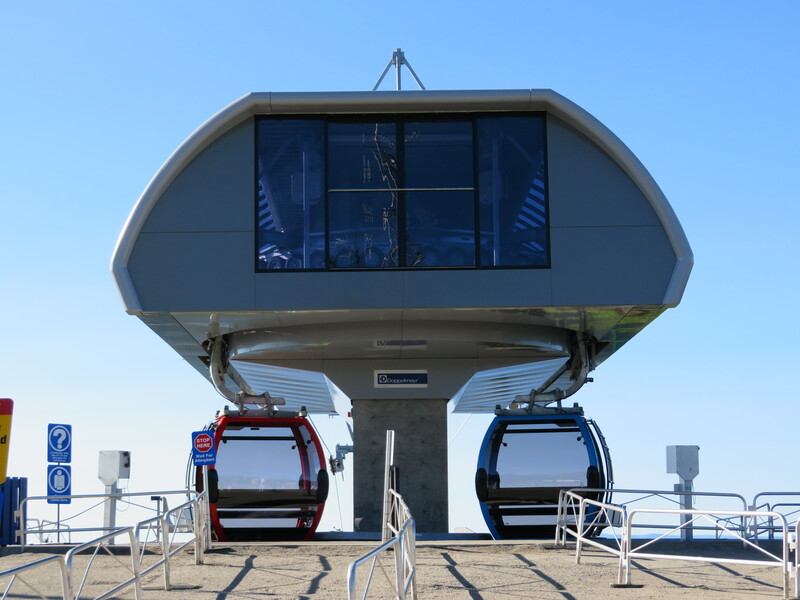 Doppelmayr was back at it as soon as the ski season ended with a tight timeline toward a July 1 opening. 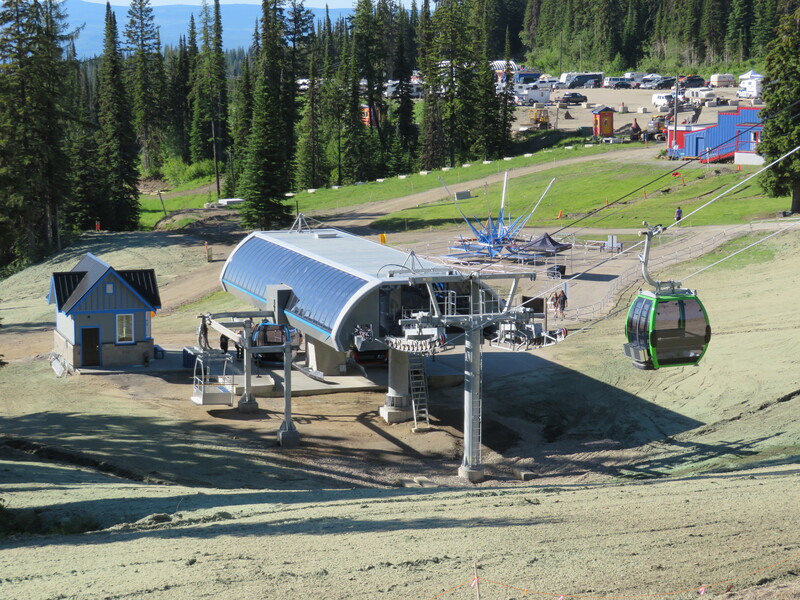 Very late season snow pushed that back a few weeks but no one seemed to care on this perfect July Saturday. 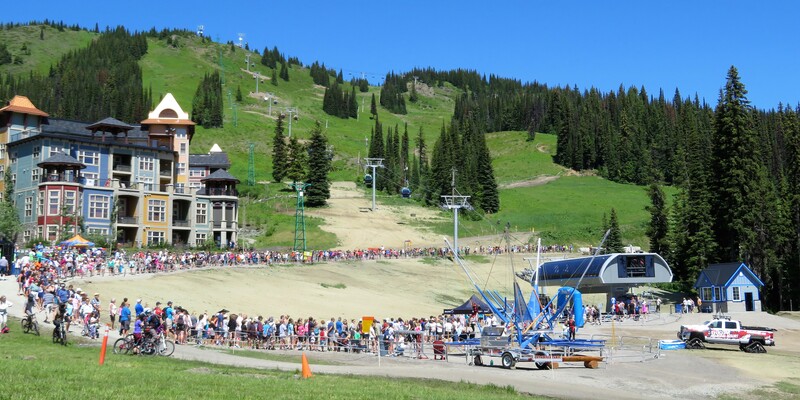 In addition to free gondola rides for the thousands gathered, there was a free community barbecue, dunk tank, bungee trampoline and even a $1,000 cash giveaway. 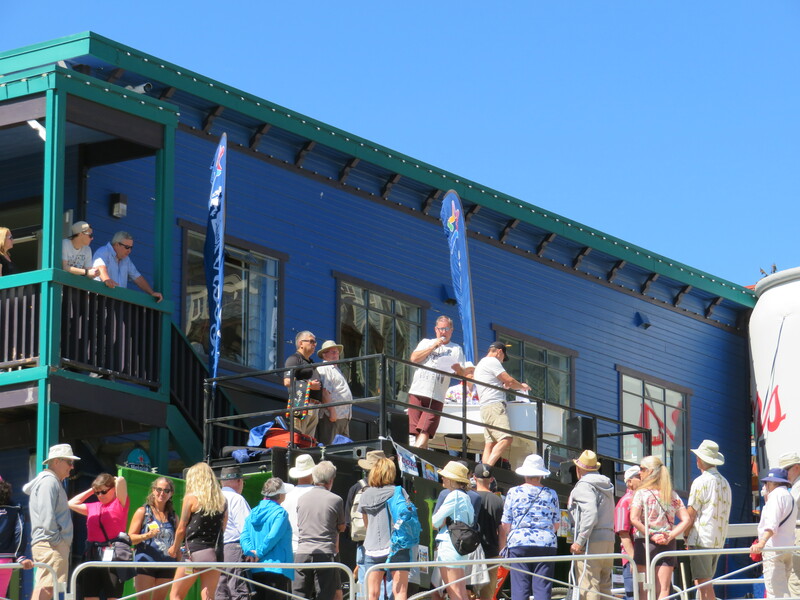 The celebration proved gondolas are for everybody – from young kids to people with disabilities, the elderly and even pets – to enjoy together. 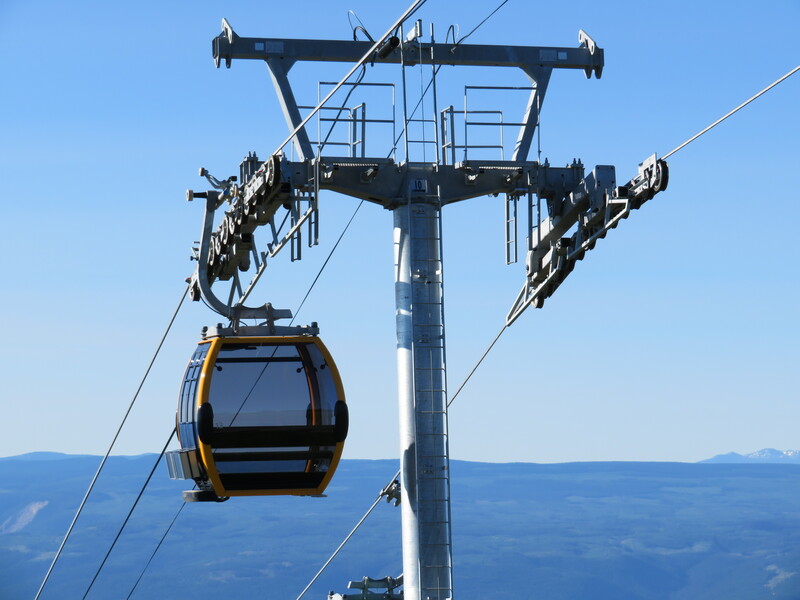 You might notice the 11 tower heads look a bit different than most North American Doppelmayr lifts but they seem to match those found on Quebec’s 2011 Le Massif gondola. 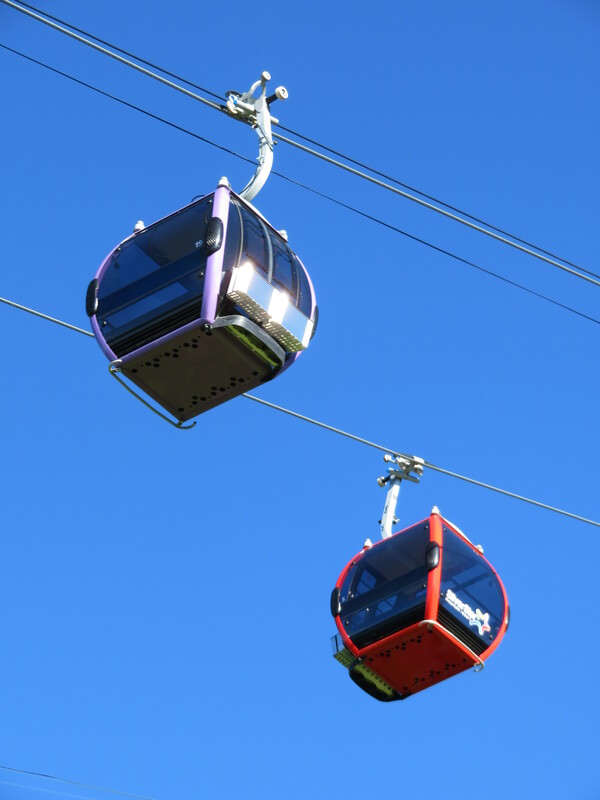 The 21 cabins with logos cleverly on the side rather than front and back will eventually be complemented by 22 more for an ultimate capacity of 2,400 passengers per hour. 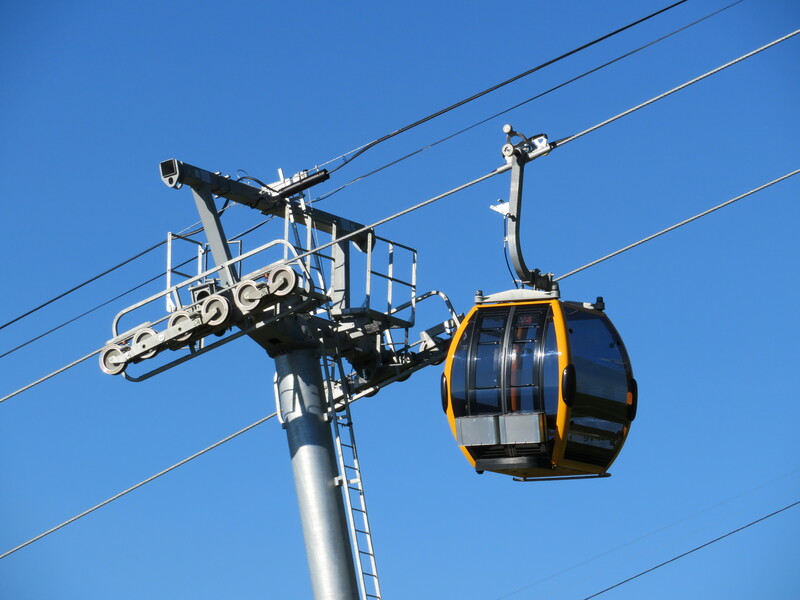 While this is a ski lift, its purpose is much broader. 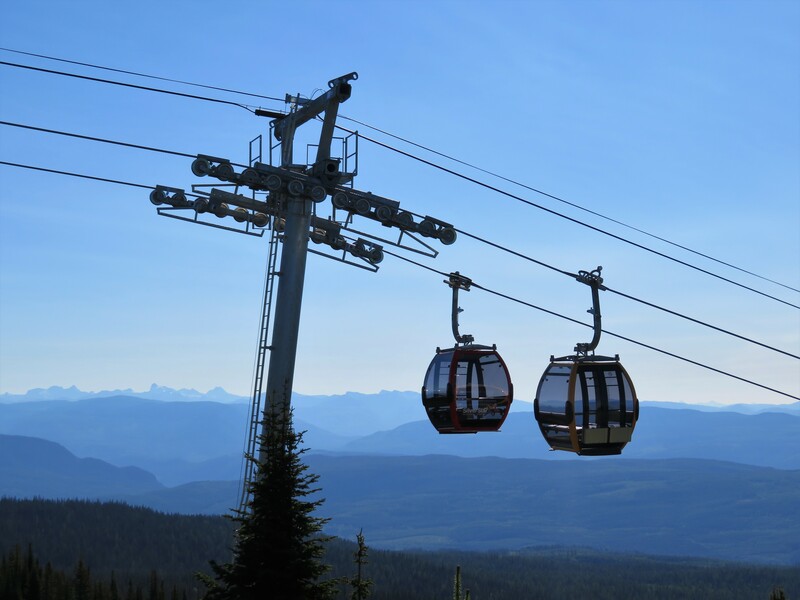 “This lift opens up a world of new possibilities for events, weddings, night skiing, SnowSports programs, and sightseeing,” says SilverStar’s gondola page. 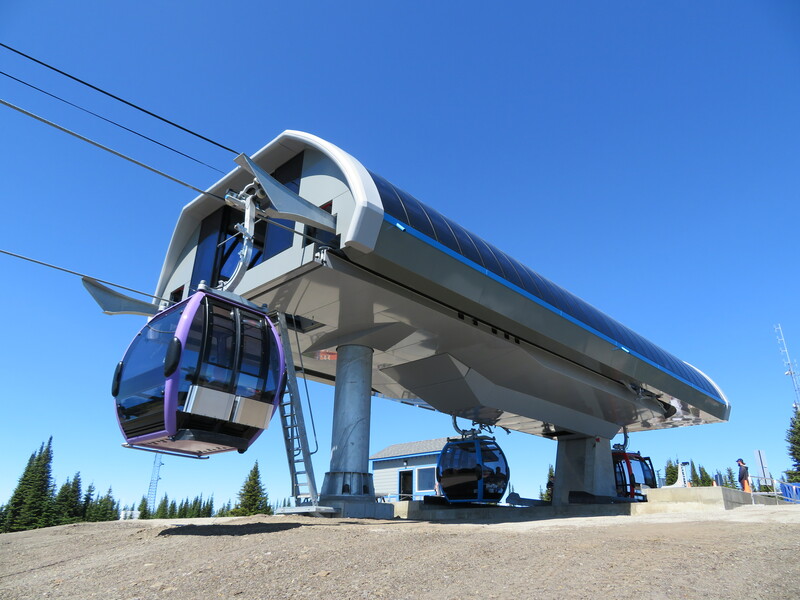 Bretton Woods, New Hampshire trails just a few months behind with a similar project in what I’m calling the year of the gondola. 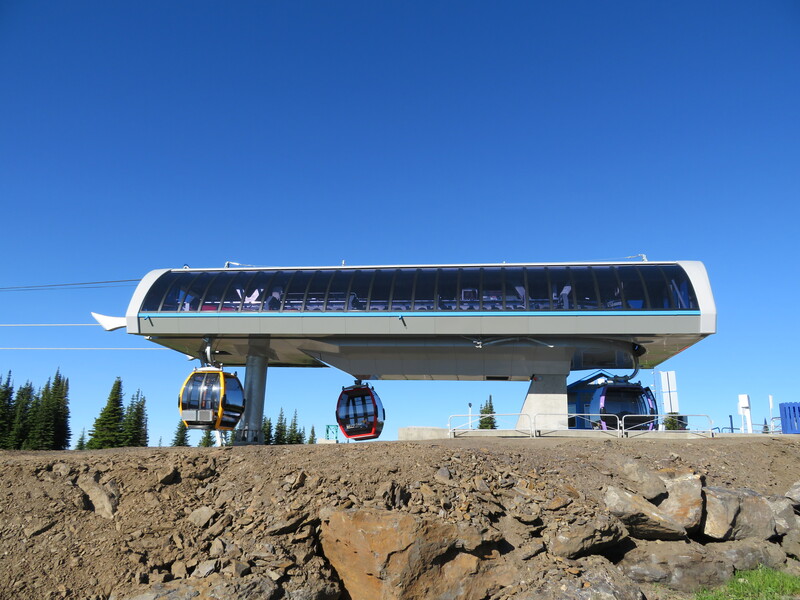 The beautiful new machine at SilverStar is the first of 11 new gondolas being built in the US and Canada in 2018 – by far the most ever. It looks great! 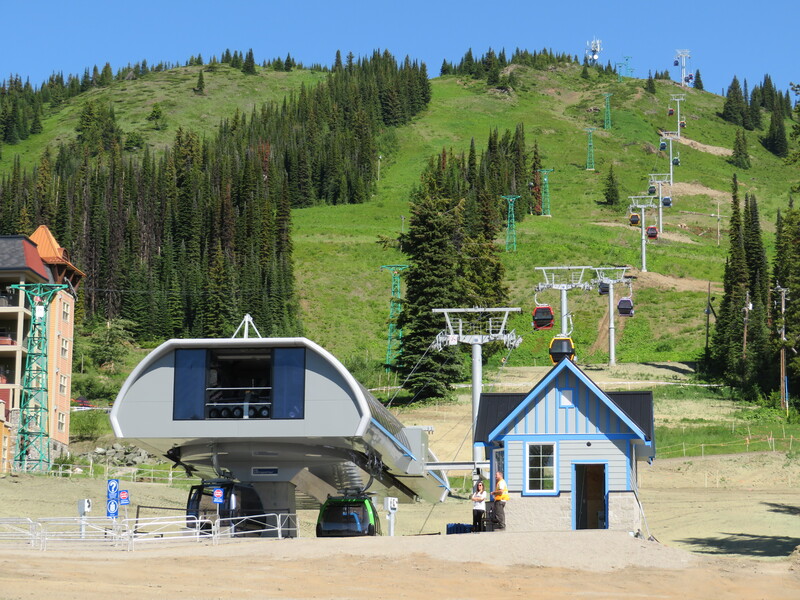 Congrats Silverstar! I forgot to mention they even went for leathery upholstered seats instead of cloth. Super nice. Any plans for cabin storage? 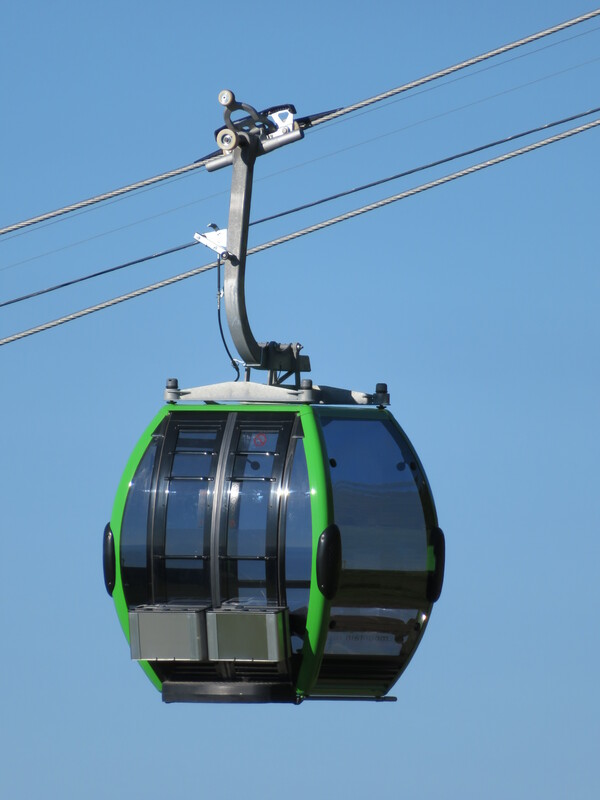 One thing I just noticed looking through my own pictures is there is no open-able window on the rear side of the cabins. 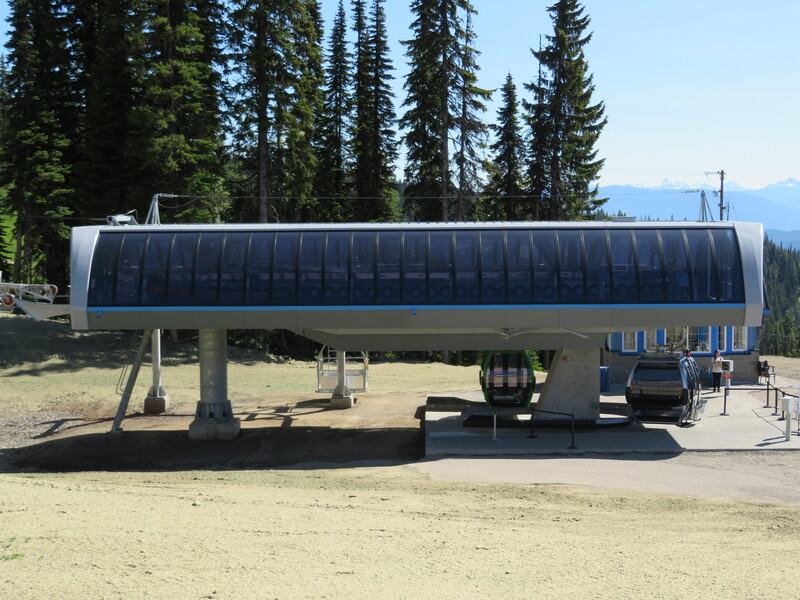 The ski racks are also unique with one fat ski slot, four regular ski slots and one snowboard slot on each door. 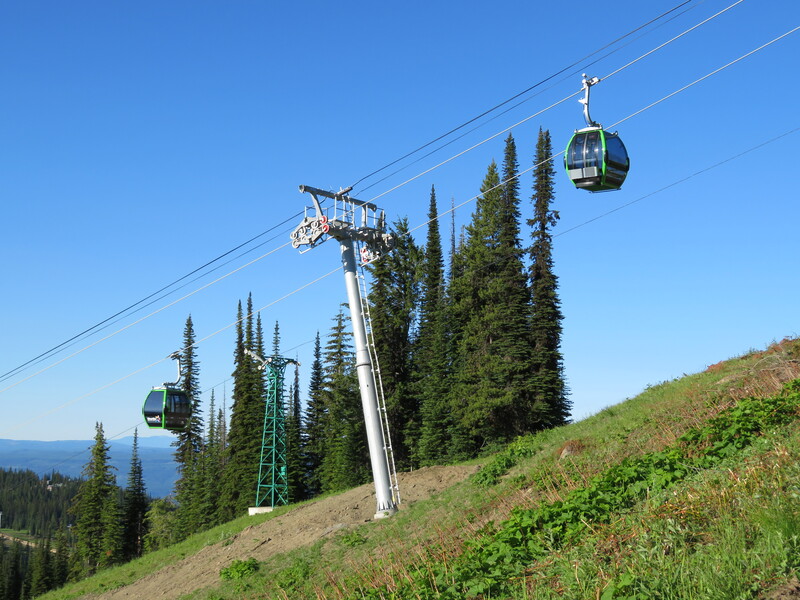 While it may seem like all CWA cabins are the same, they really are custom designed for each lift. 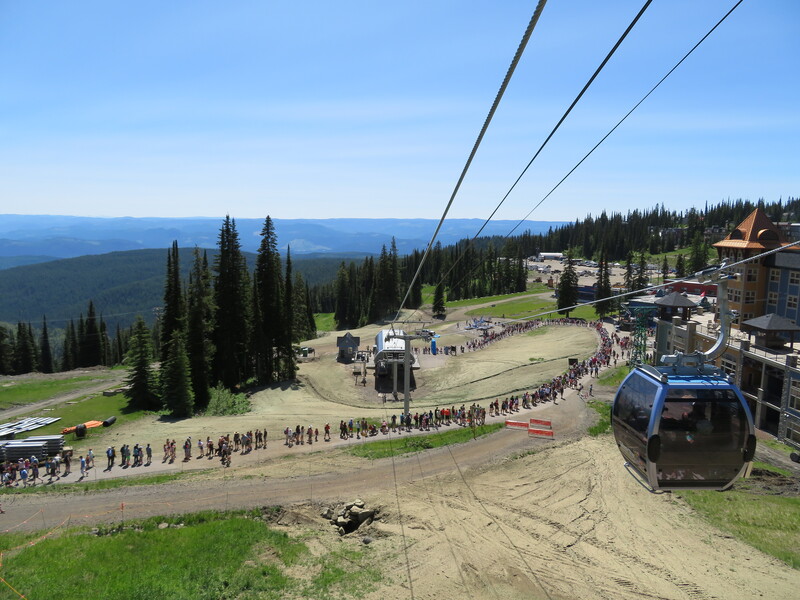 Turns out more than 5,000 people showed up on Saturday to ride the gondola.